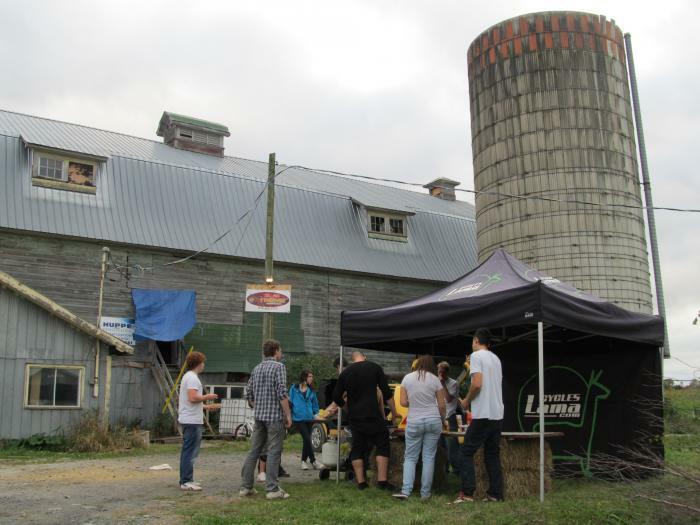 Alright so about a month ago, team riders Alexandre Paradis, Samuel Croteau, Marshall & Stéphane Bélanger headed east towards Sherbrooke, Quebec to the annual Stoke Barn Jam. 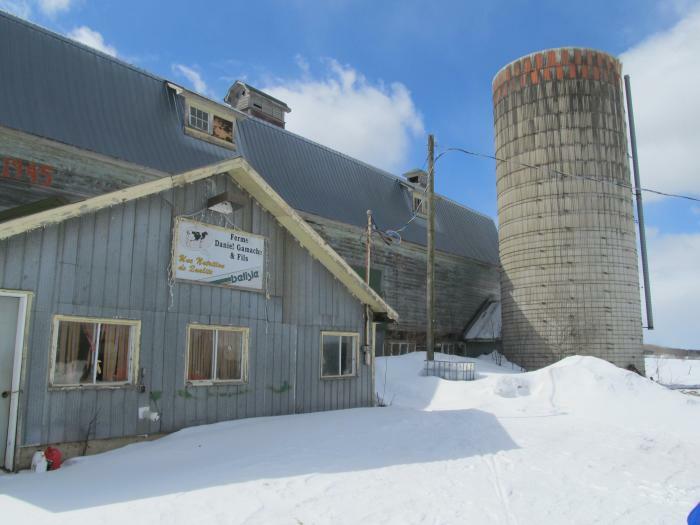 The event takes place at a fellow rider's farm in a barn, yes a barn! This is how it goes. Few years ago a group of friends from Sherbrooke, Quebec, were tired of travelling an hour and a half to ride an indoor skatepark during our harsh winters so they decided to make themselves a covered park. 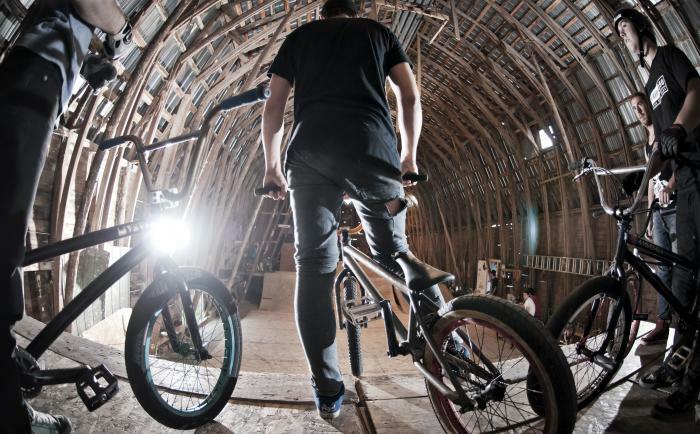 A box jump, a spine, a wedge to wedge and two quarter pipes was what composed the barn at first. The more they rode, the more they saw this place had an awesome potential and they decided to build more and more features. Last year the crew decided to have a fundraiser jam to repair and revamp their unique setup. The whole thing was a great success and they were able to make the whole thing bigger! Now the park flows like crazy and it definitely rolls a lot smoother! People started riding around noon and the actual jam took place at around 8pm. By that time, the place was packed with friends, parents, girlfriends and neighboors. 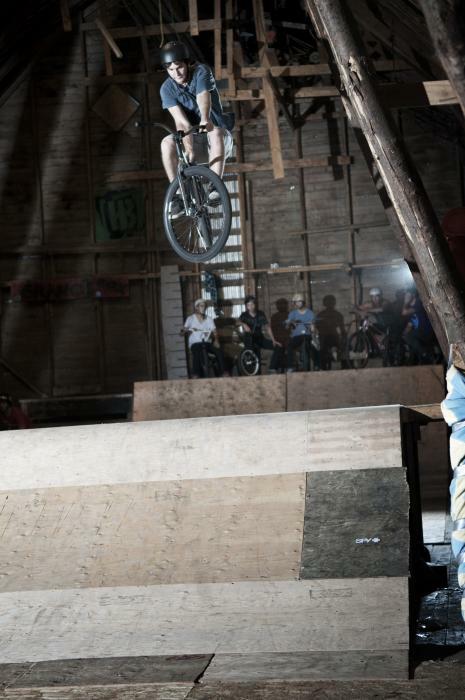 It was really impressive to see so many people come to the jam plus the friendly atmosphere made it so much fun to ride especially with so many different riders that came from all over Quebec! Teams of four were formed and everyone got their 5 mins of fame in the park! Thanks to the Ski Vélo Extrême Boutique that were there to hand out a whole bunch of prizes to two riders of each team that stood out. 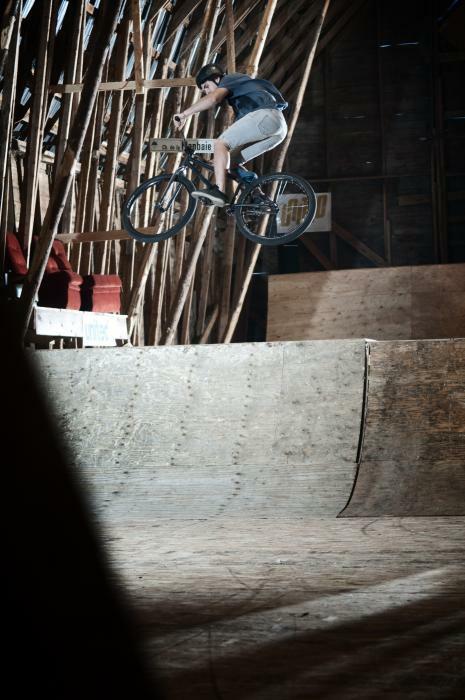 Local rider & builder Philippe Hudon streching out before the jam. Samuel Croteau with a tobogan. Stéphane Bélanger with a classic tabletop. 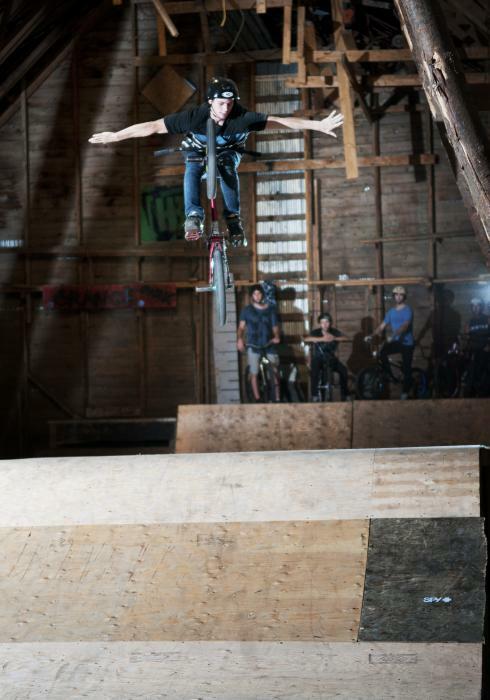 Another local rider & builder Samael Piché turning it down. Samuel Croteau could not resist hucking the whole box jump backwards to flat! David Caron, the man behind Le Projet, was on location to capture most of the action that went down. He managed to pull out this really neat edit. Thanks buddy! The Jam was awesome and everyone had fun! 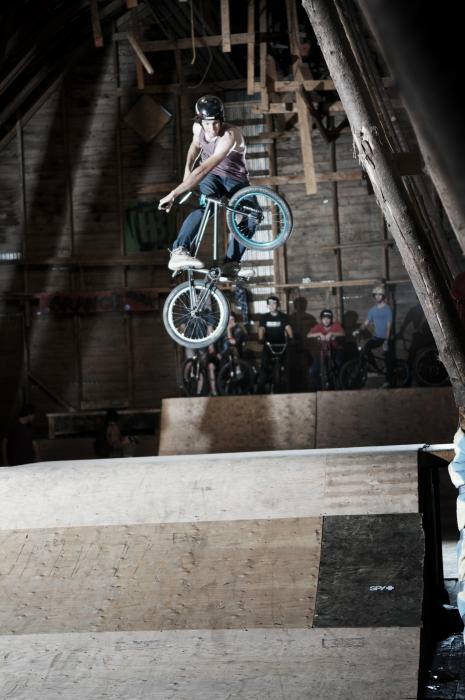 Thanks to Simon Gamache and his family for having us at his place and to all the riders that put blood and sweat building this awesome setup in the barn. See you guys this winter for some sweet sessions!